I don’t know about you, but I love to cook. Not every meal and not every single day, as I’m sure we all enjoy take out on occasion. But seriously, I do love cooking. I’ve never been a very good baker, which is something that I wanted to change. My main inspiration in my cooking life has always been my Nan. When I was younger she taught me all about the kitchen, and got me started on some staple meals that I would remember for the rest of my life. I can cook a lasagne, a casserole or even a curry from memory, and I love experimenting with new flavours. Once I had the meals of hers like these in my heart as well as my stomach, I knew I would cook them often and enjoy them. But the one thing I have always struggled with was baking, be it cakes or other savoury treats, most puddings just evaded my cooking talents. Trial and error is one of the only ways to beat the baking I have found. I have baked countless cakes and puddings that haven’t ended up being edible, and after a certain number you almost don’t want to waste anymore of your time and money. For a good while I didn’t cook puddings, then I tried an apple crumble again (a different recipe) and I began to bake with chocolate again too. 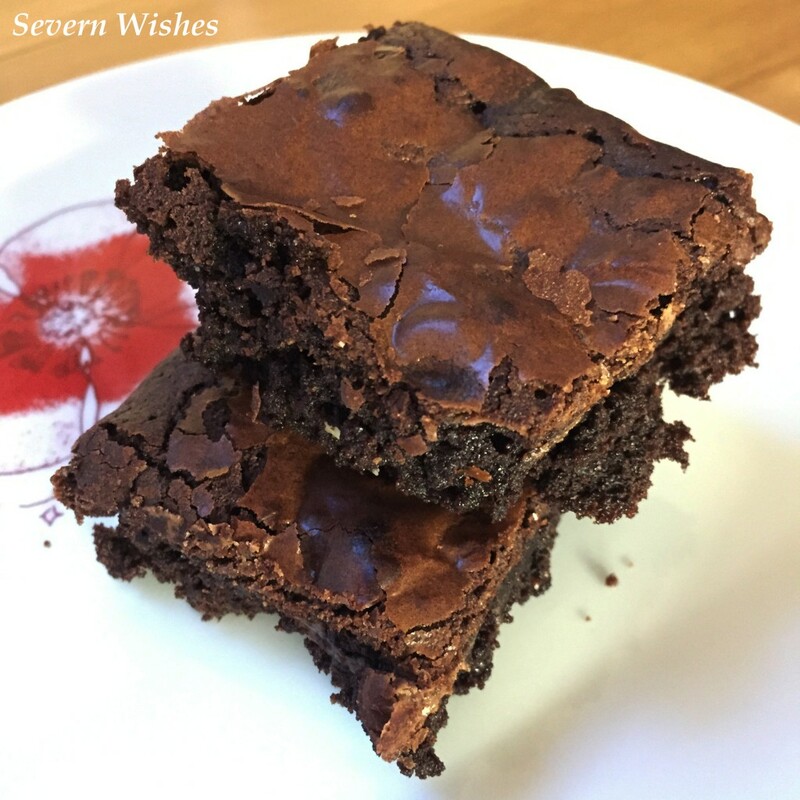 I found a recipe for triple chocolate brownies recently. I think a good recipe can make all the difference, especially if you are a self-taught cook. When I cooked these particular brownies to my surprise it was a complete success! I haven’t put that down to me though. All I was doing was following the recipe step by step, and I based the cooking time solely on my oven and not on the recipes parameters. I was so pleased with the result that I plan to make some more, and that has never happened to me before with any other aspect of my baking. So what is the moral and the reason that I have written this blog post today? To say to all of you out there who say you can’t cook, I’m here to say you can!